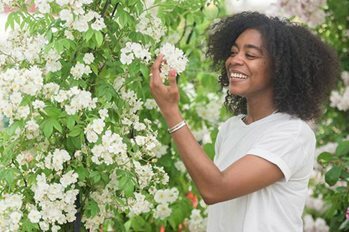 To mark the NHS’s 70th birthday, Camden and Islington NHS Foundation Trust (C&I) will receive a garden from the world’s most famous flower show this summer for the benefit of patients and staff, thanks to an RHS competition. The RHS Feel Good Garden, designed by Matt Keightley, was a key feature at the 2018 Chelsea Flower Show. After the show, the garden is being relocated to the Trust, which provides care and treatment to vulnerable adults in a built-up part of London where green space is limited. From the date of installation, the garden will be accessible on a daily basis for around 30 adults and enjoyed by hundreds more patients and staff who are cared for and work in the wards surrounding and overlooking the space. As the garden develops, the Trust project team will work with those staff and patients to ensure the benefits and enjoyment of this unique gift are felt by as many people as possible. The competition was a joint venture between the RHS and the NHS, to raise awareness of the positive impact that horticulture has on mental health and to promote how gardens can provide relaxing and rehabilitative spaces. Plants have the ability to make us feel marvellous. Come and spend the day at RHS Chelsea Flower Show and feel the flower power.